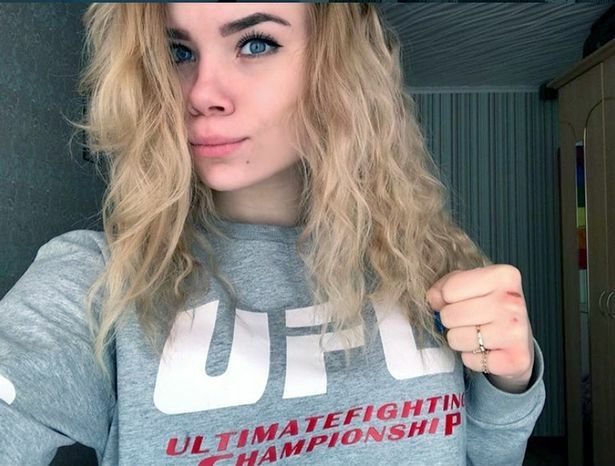 A teenage Russian martial arts champion was electrocuted in her bath after her mobile phone fell in the water while she was charging it. Irina Rybnikova, 15, died immediately as a result of the “tragic accident”, say reports. Her family say that she had gone for a bath at her home in the Siberian industrial city of Bratsk when she plugged in a charger for her iPhone. She later was found dead in the bath. The tragic teenager was a champion fighter in pankration - a form of “no rules” boxing and wrestling originating in ancient Greece. She won the all-Russian championship two months ago and had been selected for her country’s national team. “She was dreaming of becoming a world champion,” said a friend. Her sister Tatiana, 25, told Komsomolskaya Pravda newspaper: “In August she became the godmother to my little daughter. “My child adored her and called her ‘nanny’. She was a “beautiful girl” with “many friends”. A friend said: “She was a great person, the best and the most loved. “She always dreamed of success in sports. “We wanted to go together with her to another city and study there. “Everybody loved her, she was sociable, kind and beautiful”. Yury Agrafonov, the head of radio-electronic department of Irkutsk State University, said: “Water is a good conductor for a current, this is why there was a short circuit when the phone fell into the water. Her sports federation issued a statement saying: ‘A tragic accident has taken the life of our champion, friend, mate and student Irina Rybnikova, 15. “She was a candidate for Master of Sports in pankration, our beloved girl. Rest in peace”. Russian safety officials have previously warned about the acute dangers from using mobile phone chargers in bathrooms.